Klook Exclusive: Make sure to try all the popular dishes - book the discounted Dim Sum Sets for 2 to 6 people now! Delicious food. Very nice experience. A bit hard to communicate with the staff since no one speaks English. Enjoy a meal at Lin Heung Kui, awarded with the Bib Gourmand status from the Michelin Guide for the restaurant's exceptional good food at moderate prices. 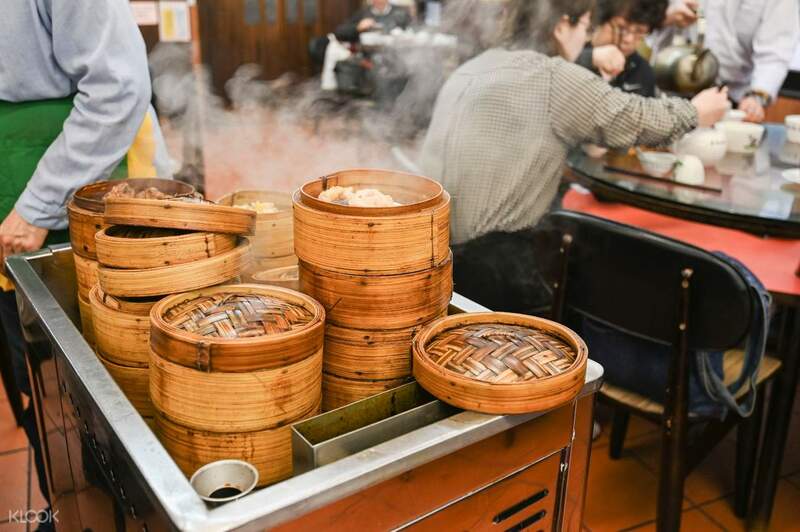 Travel back in time as you experience its traditional Cantonese vibe, with bamboo baskets and dim sum trolleys used to deliver the restaurant's own old-fashioned dishes to you! 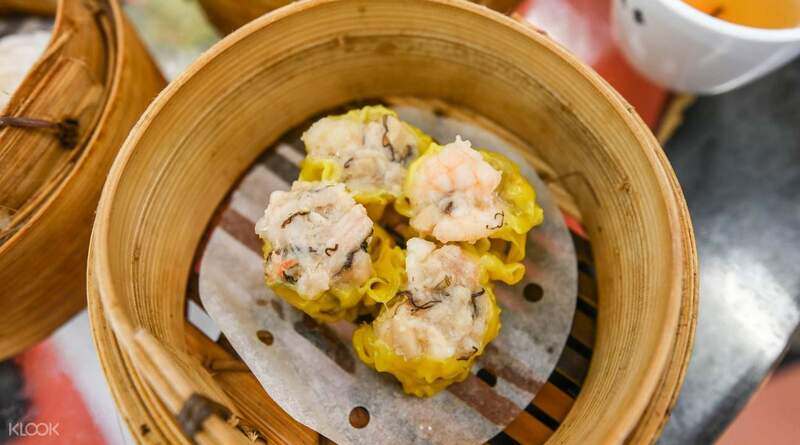 Diners should definitely not miss the Hargow (Shrimp Dumpling) and the Siu Mai (Pork Dumpling) for their delicate freshness, while a piece of the moist but light Cantonese Sponge Cake is the perfect way to end your meal. Klook customers can enjoy dim sum sets at discounted prices: the morning set for one hungry traveler or two people, or the larger 4 to 6 person set, fantastic for a lively get together with friends and family! What's more, if you book the 6 person set through Klook, you'll also get an exclusive much-coveted seat reservation. The Hargow (Shrimp Dumpling) is a must-try for that fresh seafood taste! the restaurant is located beside the hotel. easy to access from the MTR of the long underground walk. food was good. I don't know how much I save. the staff serving dim sum were nice despite we were tourists. we (2 of us) bought one voucher and add on that interest us from the dim sum trolley. is a more authentic experience with the local and how their morning goes like . the restaurant is located beside the hotel. easy to access from the MTR of the long underground walk. food was good. I don't know how much I save. the staff serving dim sum were nice despite we were tourists. we (2 of us) bought one voucher and add on that interest us from the dim sum trolley. is a more authentic experience with the local and how their morning goes like . Wonderful dining experience for any tourist visiting Sheung Wan, Hong Kong. The dim sum felt very genuine and tasty! Wonderful dining experience for any tourist visiting Sheung Wan, Hong Kong. The dim sum felt very genuine and tasty! My bestfriend and I tried to redeem and try their breakfast set and as soon as we arrived, there are lots of elderly people who wait for their food while reading newspaper. Sadly, there is no English speaking staff and its quite hard to communicate with their staff though there is one waiter who is super friendly and really tried his best to assist us. Food were nice and we loved their siomai and buns. My bestfriend and I tried to redeem and try their breakfast set and as soon as we arrived, there are lots of elderly people who wait for their food while reading newspaper. Sadly, there is no English speaking staff and its quite hard to communicate with their staff though there is one waiter who is super friendly and really tried his best to assist us. Food were nice and we loved their siomai and buns. The coupon is easy to use and there is no need to print it out. You can just open the klook App and scan the QR Code at the counter. The Waitress that served us is nice even though I came with a big stroller. 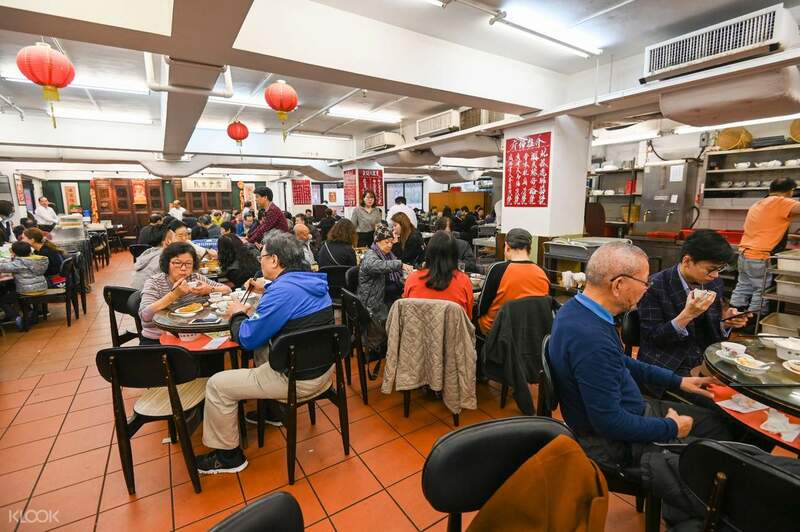 It is old school dim sum with many local folks having breakfast and tea when we are there at 7am. Highly recommended as breakfast food set is awesome and value for money. The coupon is easy to use and there is no need to print it out. You can just open the klook App and scan the QR Code at the counter. The Waitress that served us is nice even though I came with a big stroller. It is old school dim sum with many local folks having breakfast and tea when we are there at 7am. Highly recommended as breakfast food set is awesome and value for money. 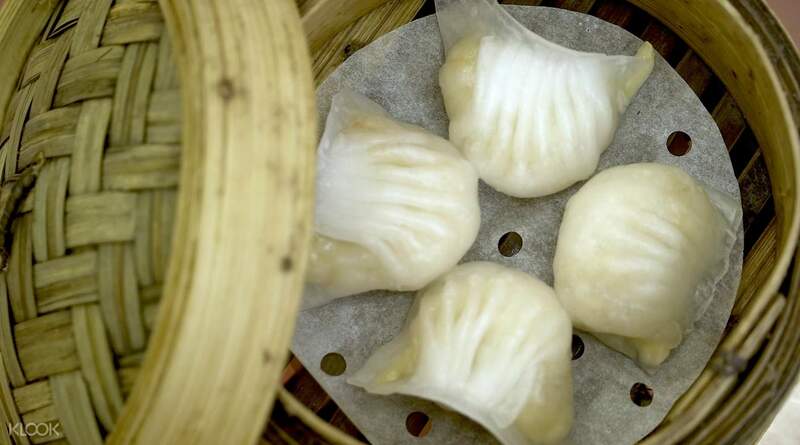 it is very close to our hotel and the foods are very delicious, we have visited twice time for our this trip, it looks like traditional and just like the dim sum restaurant in hong kong drama we have seen. 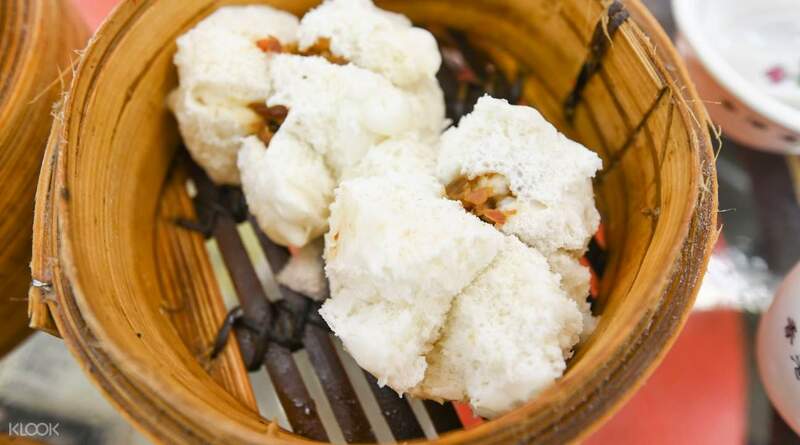 we highly recommend it, must try if you think to experience the traditional dim sum restaurant. 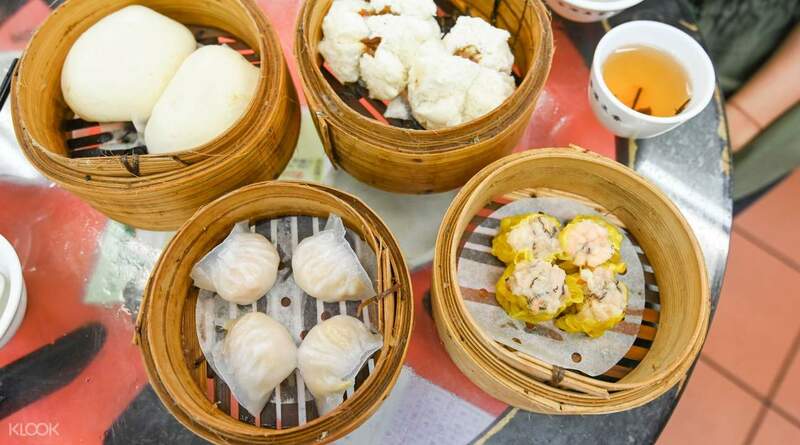 it is very close to our hotel and the foods are very delicious, we have visited twice time for our this trip, it looks like traditional and just like the dim sum restaurant in hong kong drama we have seen. we highly recommend it, must try if you think to experience the traditional dim sum restaurant. Super friendly staff who tried their best to make our experience great :) dim sum was delicious too. would definitely recommend to friends! Super friendly staff who tried their best to make our experience great :) dim sum was delicious too. would definitely recommend to friends! Food was great. Service is not bad. Tell the cashier you bought the voucher and you will be served. Food was great. Service is not bad. Tell the cashier you bought the voucher and you will be served. very easy to use and all food delivered in one go. recommend to people who does not want to spend time order themselves. very easy to use and all food delivered in one go. recommend to people who does not want to spend time order themselves.